Traffic in California is not only a fact of life, it is a source of unending frustration. In a new report titled, The Gridlock State, California State University officials discuss how its students are working to solve the state’s traffic troubles. Through research, innovation and education, students are seeking a solution that will hopefully improve the daily lives of Californians while also keeping the state’s economy on the right track. Available road space in the state cannot accommodate increased traffic demands which are resulting in increased congestion impacting quality of life in the state and costing billions in lost time, wasted fuel and carbon emissions. The Gridlock State report revealed that in a 9,000-square-foot warehouse near the campus of San José State University, dozens of Cal State students are working on what may be the future of urban transportation. It is titled—the Spartan Superway. Students involved in the project, led by San José State engineering professor Burford Furman, Ph.D., are creating a futuristic personal rapid transit system that uses renewable energy. 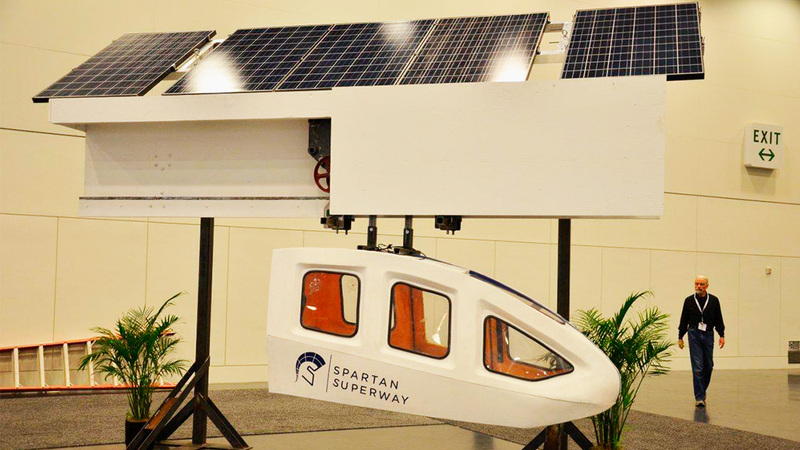 The Spartan Superway is being designed to operate in a way that is very similar to a monorail. It will transport four-person-pod-cars over an elevated rail; however, travelers will stop at “offline stations” that deliver them directly to their destination without having to stop at every station along the way. The result will be a quick, convenient journey. The Spartan Superway has the potential to alleviate traffic congestion by not only reducing the volume of vehicles on the roads, commuters will also have reduced travel times, experience less waiting and eliminate a number of parking headaches. To view the Gridlock State Report and/or to learn more about the Spartan Superway visit https://inside.csusb.edu/node/16636.